Simplification Through the Eyes of a Runner. In less than 7 hours I will be boarding a flight to Los Angeles, where I will then transfer to a direct flight to Sydney, Australia and then catch a connection to MELBOURNE!!!!!!!!!!!!!!!!!!!! So packing. Packing. Packing. Packing. It wasn’t nearly as bad as I thought! 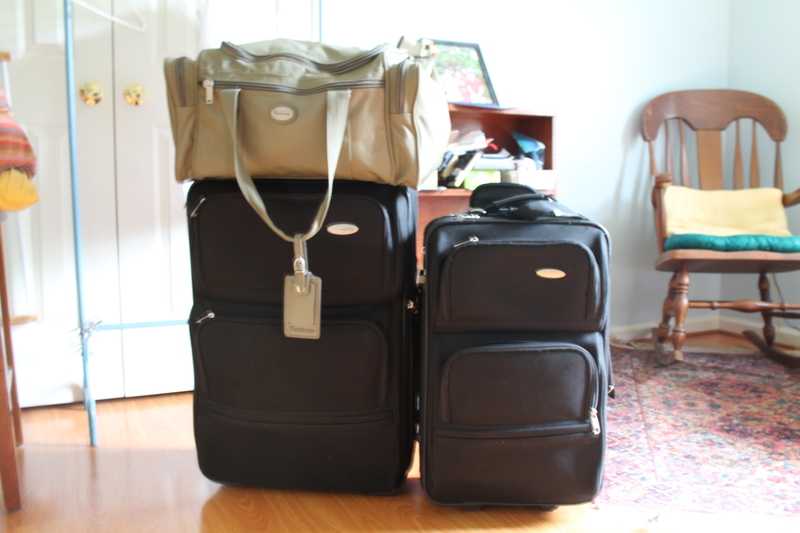 I fit all my clothes and shoes in one suitcase which weighs in at 44 pounds! And just cause I’m allowed two checked bags, I’m also bringing a small duffle bag. And then of course, my carry on. I ironed then rolled up all my clothes, which definitely saved space! Then shoes went in first. And then from that my rolled clothes got stacked and situated! And here we are! Finished product! I ended up taking 3 pairs of flats, 1 pair of sandals, 1 pair of boots, 1 pair of heels, and running shoes. 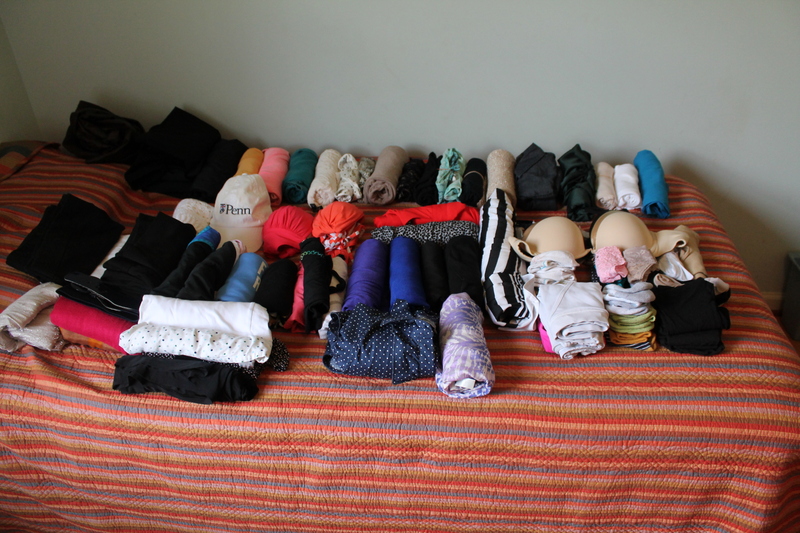 17 tops, 11 dresses, 2 pairs of shorts, 5 pairs of pants, 2 pairs of leggings, 2 workout shorts, 4 cardigans, 4 scarves, winter hat, winter gloves, raincoat, leather jacket, 2 bathing suits, a fleece. Along with undergarments. This is what my wardrobe will consist of for 5 months and two and a half seasons! And honestly, I think I’m content with that. Simplification, that is my first lesson on this journey that takes me around the globe. Melbourne Here I come!! Here is to many more lessons, adventures, and joy! Cheerio!